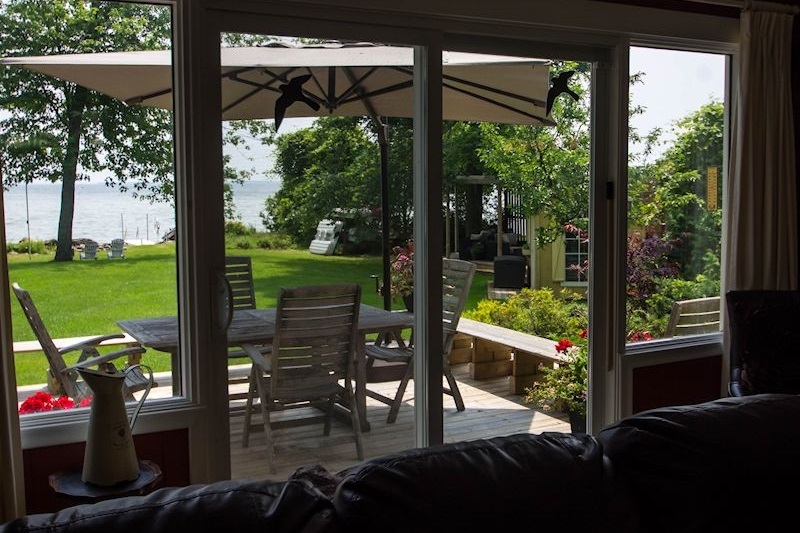 Lake Breeze is a wonderful 4 season cottage with 100 feet of private shoreline overlooking beautiful Lake Simcoe. 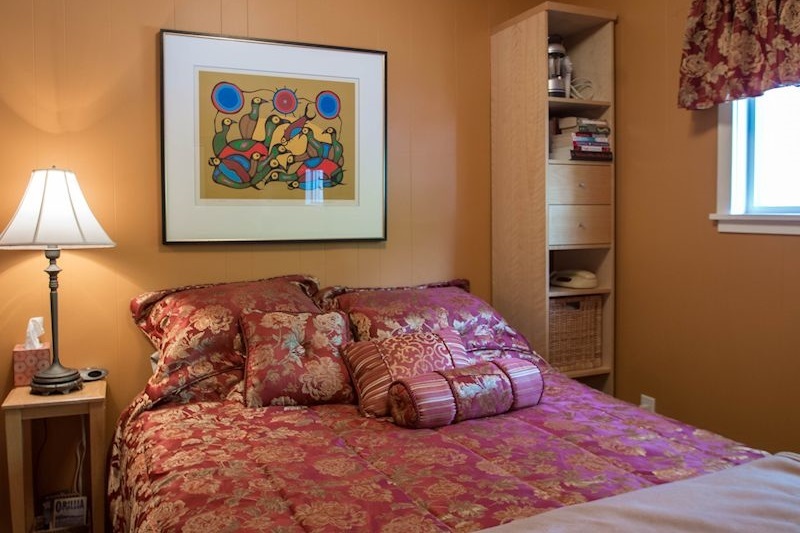 The cottage is all on one level (no stairs indside) and is ideal for folks with limited mobility. 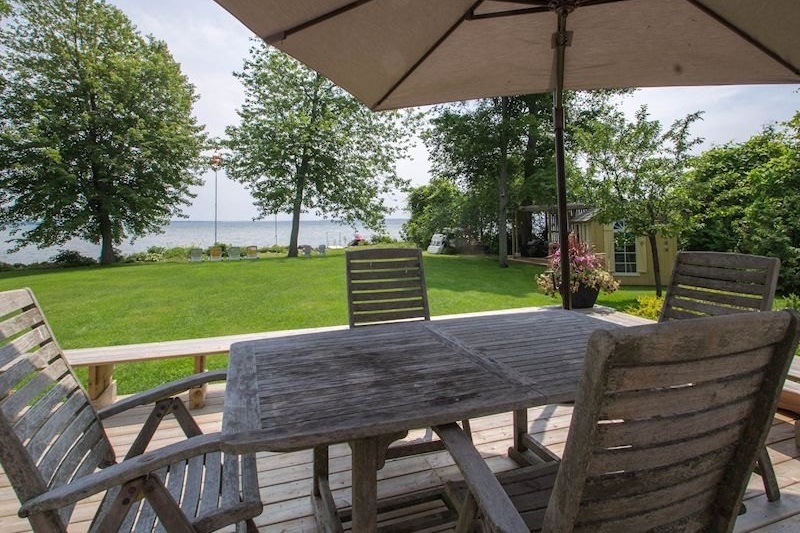 The very large front lawn is flat and broad with easy access to the lake. 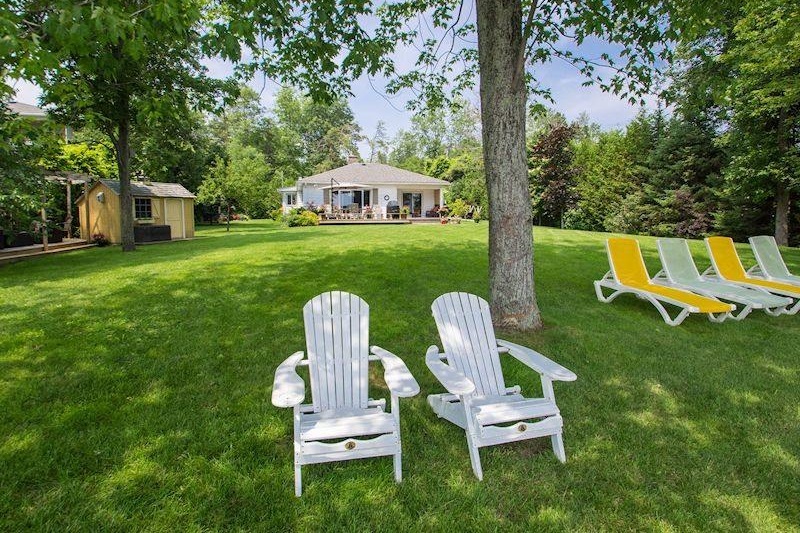 The lawn is ideal for a game of croquet, badminton or lounging by the lake under the large shade trees. The water is very clean and shallow with a gentle slope. There are 2 canoes, a kayak. a rowboat and a paddleboat for your enjoyment. We also have 7 bicycles (5 adult and 2 children's) if you prefer dry land. 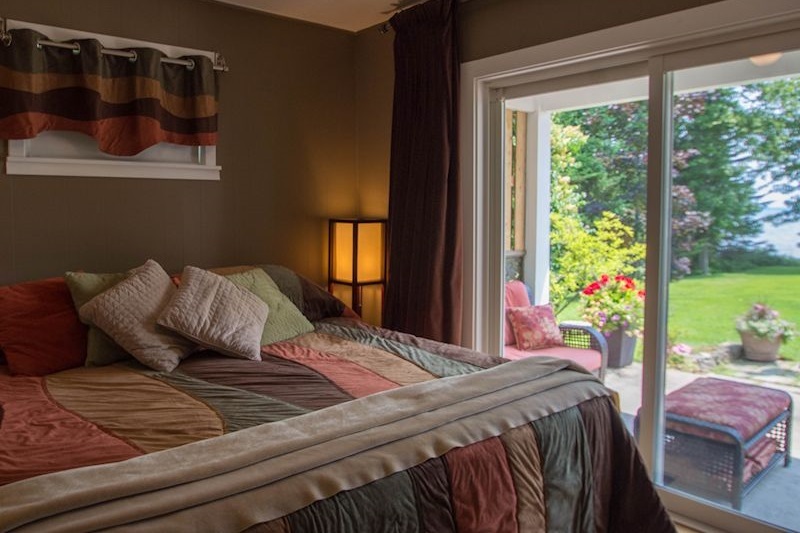 The master bedroom, has a king bed and patio doors leading to the private lanai which overlooks the lake. 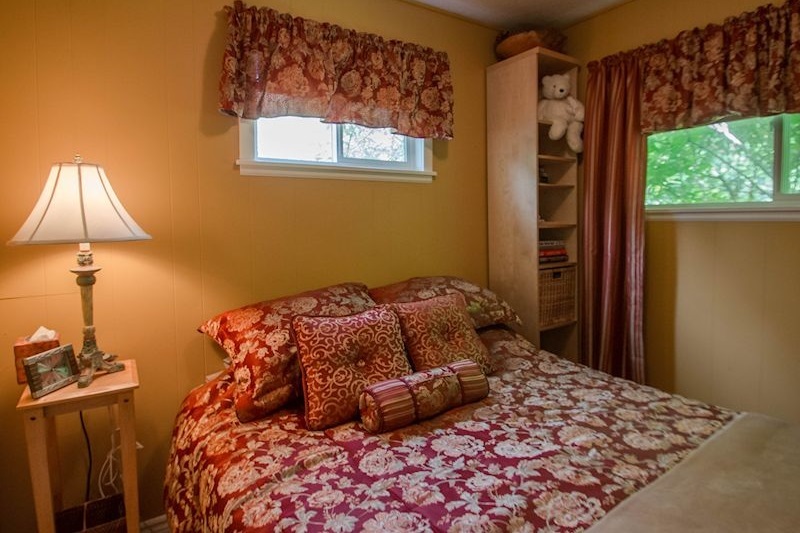 The other 2 bedrooms each have queen sized beds. 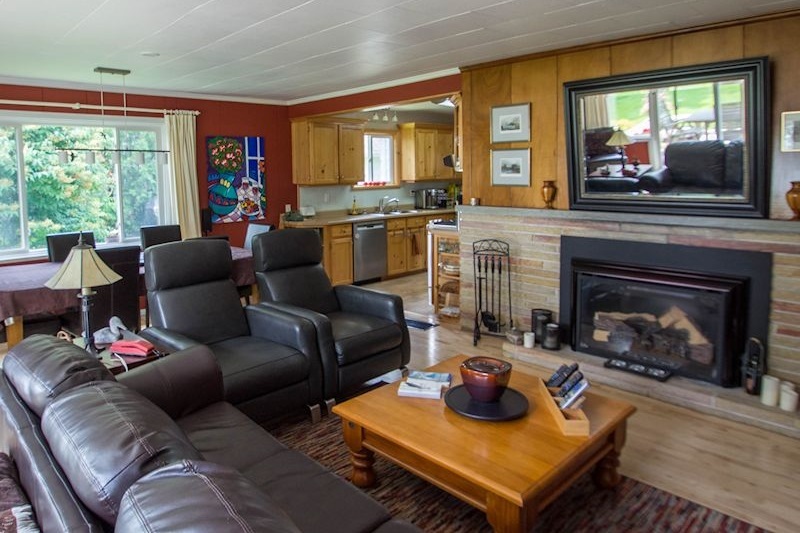 The living area is equipped with a home theatre system including a 65" plasma T.V. and surround sound. New leather furniture allows for seating up to 6 people and is centered around a beautiful angel-stone fireplace. 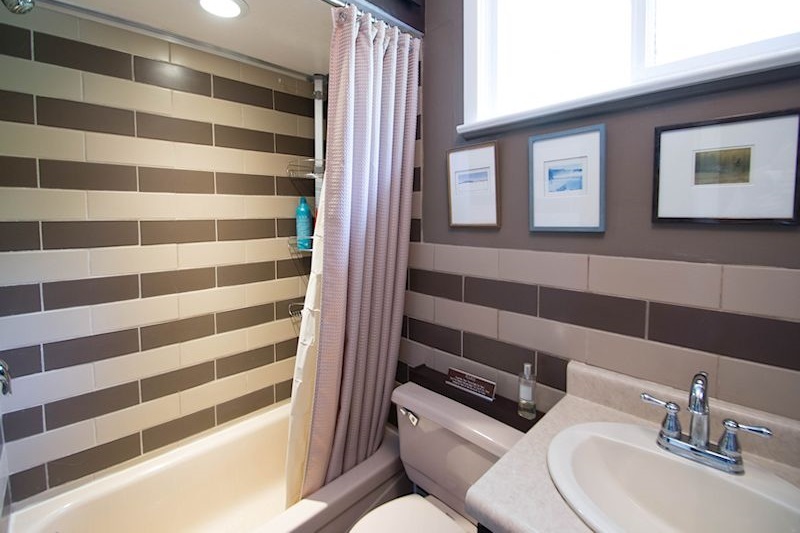 To keep you cool, there is central air conditioning. 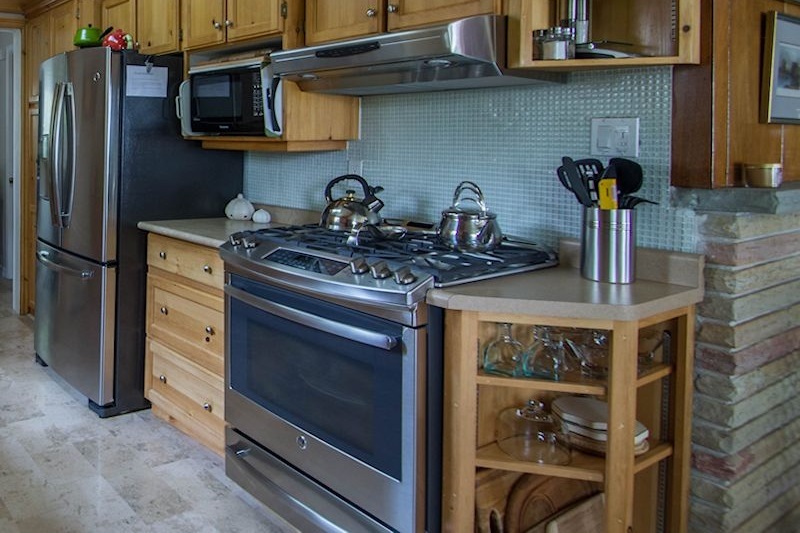 All floors are hardwood or laminate with only an area carpet in the livingroom. 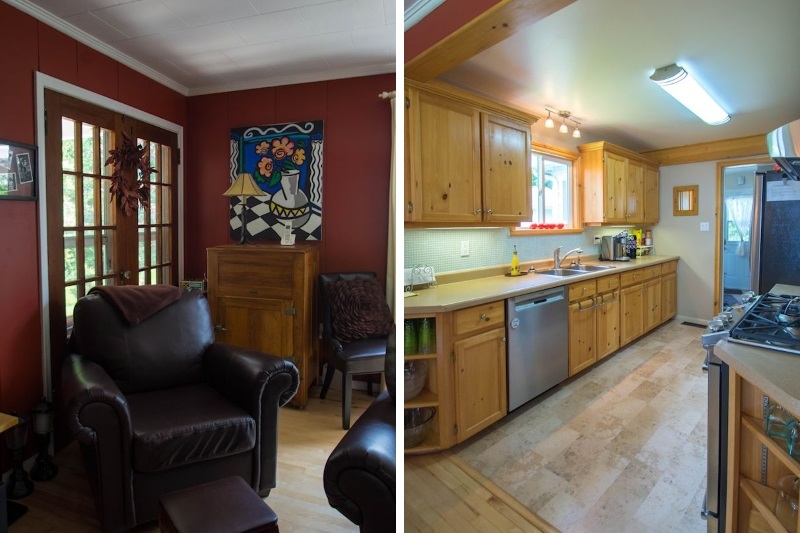 The cottage amenities are nicely rounded out with satellite TV and high speed internet. 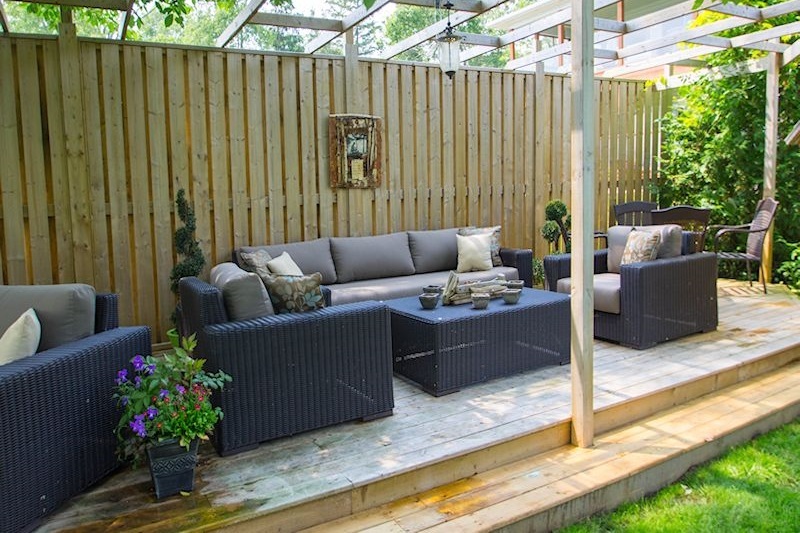 This cottage shines both indoors and out. 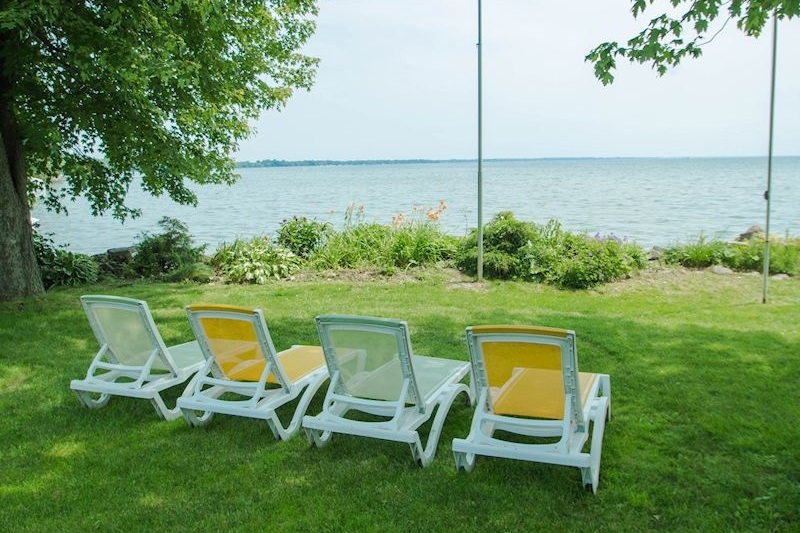 Overlooking beautiful Lake Simcoe, the day is magical here, from sunrise to sunset. 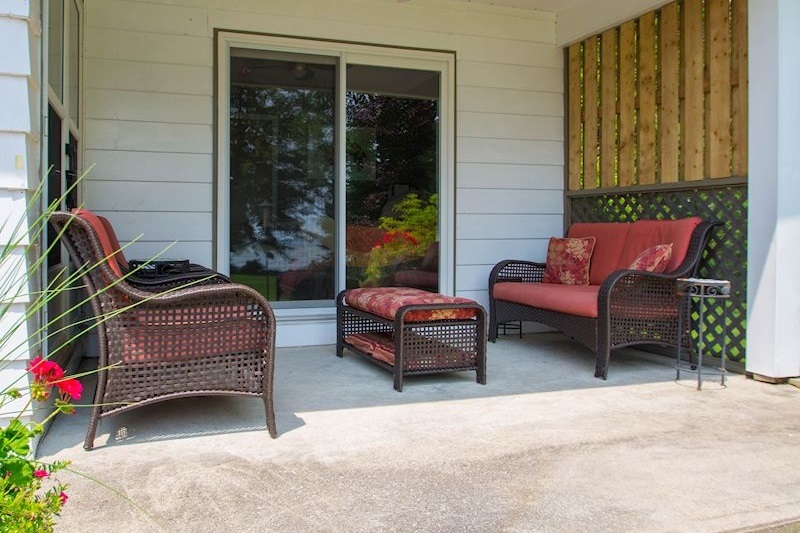 Have your morning coffee on the large deck before the day begins. Barbecue your meals on the 6-burner Weber barbecue and enjoy the outdoors! Paddle your way down the lake in the canoe...getting hot? 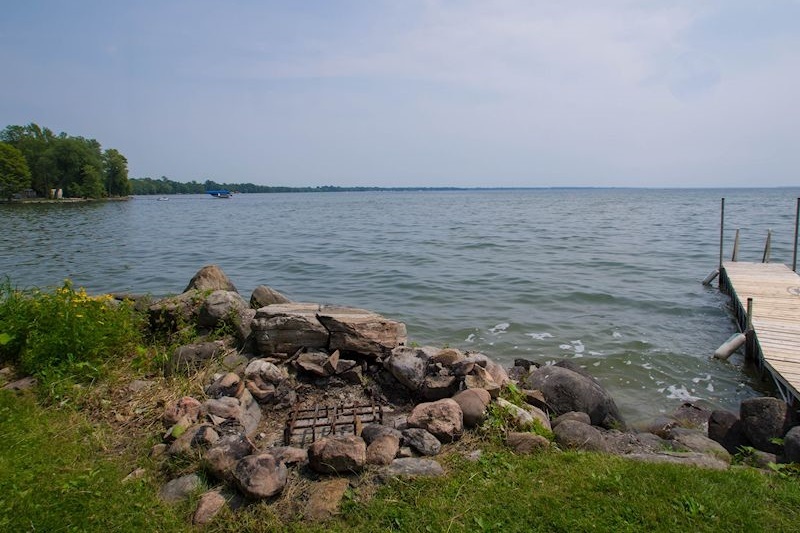 Take a dip in the crystal clear (and warm) waters of Lake Simcoe. As the evening approaches, watch the sun set and then enjoy a campfire with the moon shimmering on the water. Now enjoy a peaceful nights sleep before tomorrow arrives for more enjoyment. 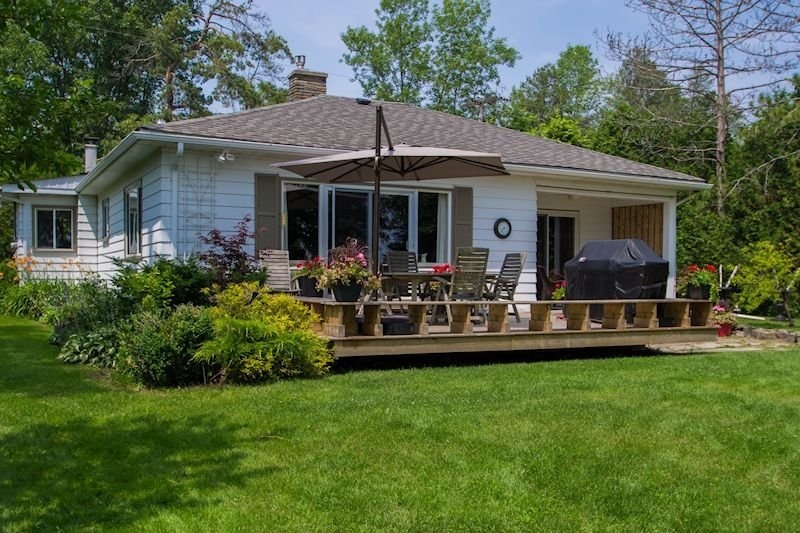 Out and about, you are well situated to enjoy this area of cottage country. Orillia has a lot to offer. Each Saturday morning there is a wonderful Farmer's Market at the City Building. Stroll the streets of downtown Orillia and visit the Mariposa Market or the quaint privately owned shops. There are festivals and activities downtown and at Couchiching Park. Casino Rama is only 15 minutes away and it offers first class entertainment and restaurants, in addition to the casino. The Orillia Opera house also offers concerts and theatre. Historic Midland/Penetanguishene is a short 45 minute drive away. 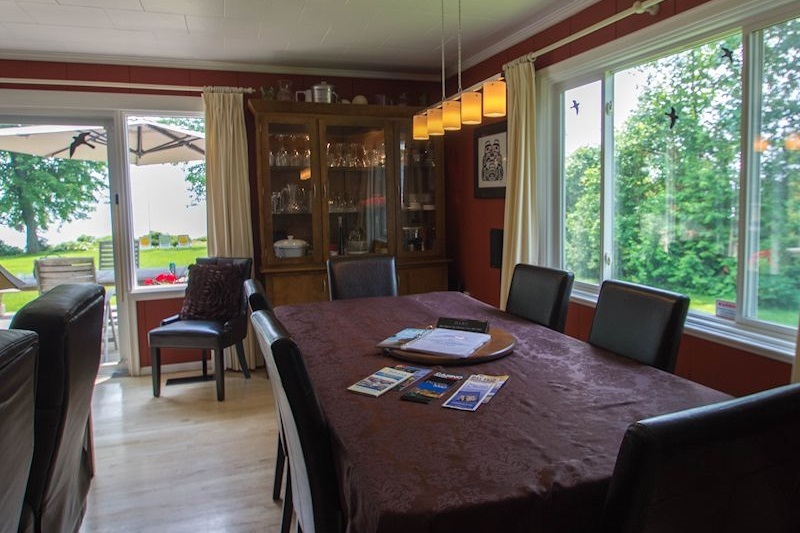 Lake Breeze rents weekly (Friday-Friday) and offers shorter stays (Monday-Friday). Sorry, no weekends - a weekend just wouldn't be enough, anyway. The waterfront has shallow entry and gradually deepens. Off the end of the dock the depth is approximately 3-4 feet and not recommended for diving. Water entry is sandy bottom. Swimming shoes are recommended.